A3:MULTI-DIAG TRUCKS supported function for DAF trucks: Diagnose, Messwearte, Ecu Date, Stellglieder, Steuergerate-Daten, Parameter, Kalibrieren, Rucksetzen, Manueller Prozess. For more details about MULTI-DIAG TRUCKS function list, please check the column “technical support” or the “Related Download Files”. A4:No, not only trucks, except trucks, MULTI-DIAG TRUCKS also support light commercial vehicles, special vehicles, tractor, agricultural vehicles, trailer and bus. For more specific supported models, please download from our column “Technical support/service” or under “Related Download Files”. This entry was posted in Outil de Diagnostic Robuste, Technique FAQ and tagged bluetooth scanner, french obd tool, truck diagnostic tool, universal diagnostic tool on October 22, 2015 by sales. How to solve the failure activation of the MB SD Connect Compact 4? Q: Hello, I have got my MB SD STAR C4. But when I installed the software and got the activate data, the HDD showed an error. Can you help me ? One, you do not run the license on your computer. Two, your computer can not save the activate information. 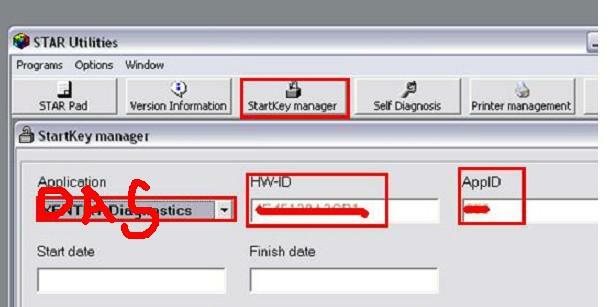 Please follow the picture to get into the STAR UTILITIES like the picture , then find the DAS ID to us to activate. If you do not know, please check the picture. If you still have problem of activation, send email to sales@eobdii.fr. MB SD Connect Compact 4 information: http://www.eobdii.fr/wholesale/mb-sd-connect-compact-4-wireless-star-diagnosis.html. This entry was posted in Appareil De Diagnostic Professionnel, MB SD C4, Soutien technique and tagged benz diagnostic tool, Benz key programmer, french obd tool, mb star, truck diagnostic tool on October 6, 2015 by sales. 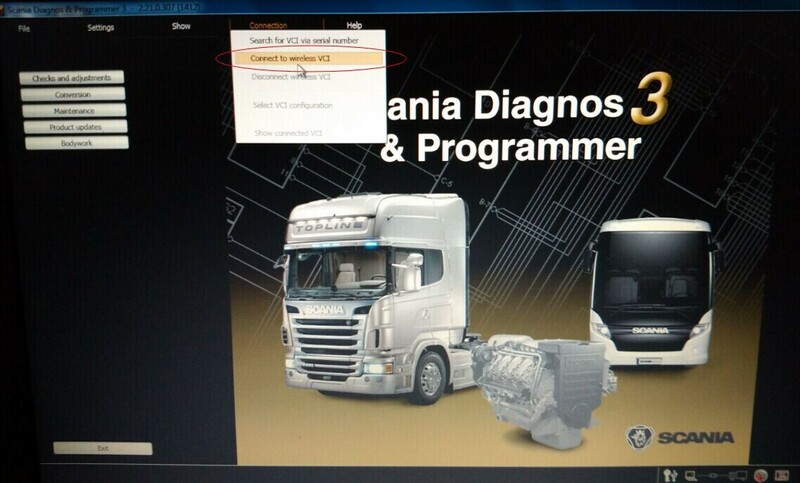 SDP3 Scania VCI Truck Diagnostic tool VCI Update Error Second Solution! Scania VCI 2 diagnostic tool replaces older Scania VCI 1 tool and designed to work with latest Scania trucks, buses and other heavy vehicles. Scania VCI 2 supports language from: English, German, Spanish, French, Japanese, Dutch, Polish, Portuguese, Swedish and so on. 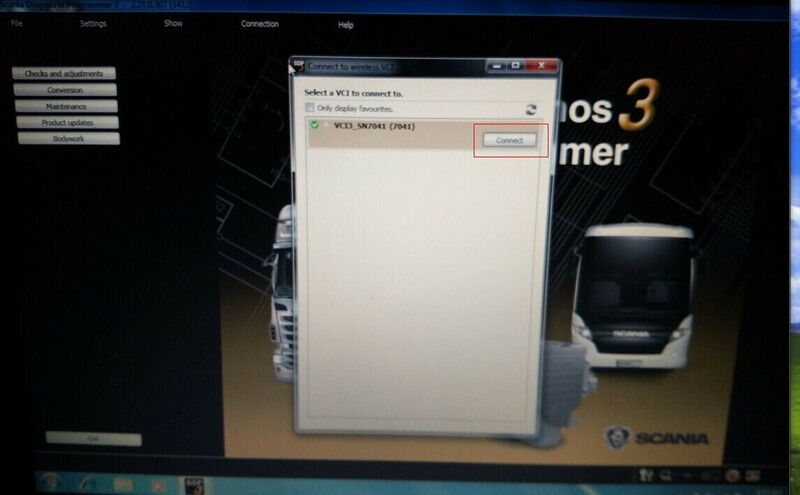 When you come to setup 7, copy the “SCOMM_SSK.dat” and the “SCOMM_SSK_HL.dll” to replace the file in the driver C. Then connect the Scania VCI 2 interface with the car, run the Scania VCI 2 software. If it prompts “Software VCI is not the latest version. Click OK to install new VCI software”, copy “SMAPI.dll” file to driver C to replace the old “SMAPI.dll” file. 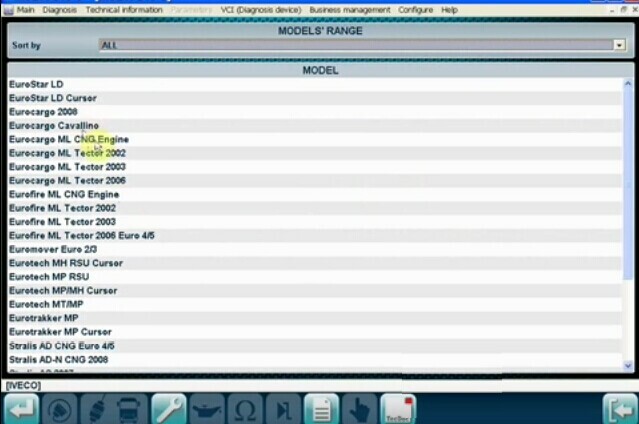 More SDP3 Scania VCI information, check on: http://www.eobdii.fr/wholesale/scania-vci-truck-diagnostic-tool.html. This entry was posted in Outil de Diagnostic Robuste, Soutien technique and tagged french obd tool, scania scanner, scania vci, truck diagnostic tool on September 8, 2015 by sales. 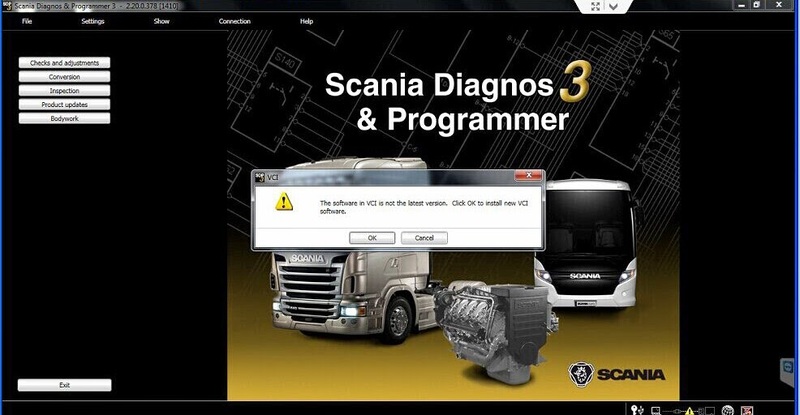 Scania VCI3 is designed to support all Scania diagnostic systems based on CAN network, it’s a extremely fast yet very compact diagnostic tool. 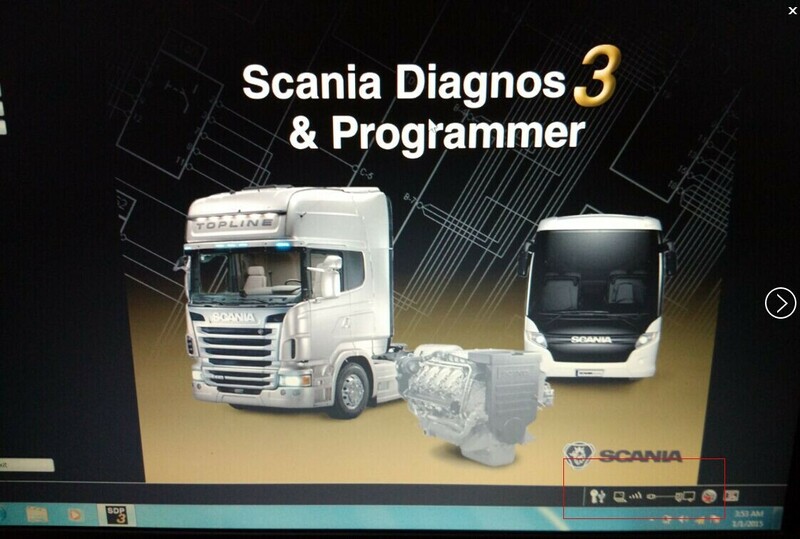 And the Scania VCI-3 VCI3 Scanner can support wifi wireless diagnosing. 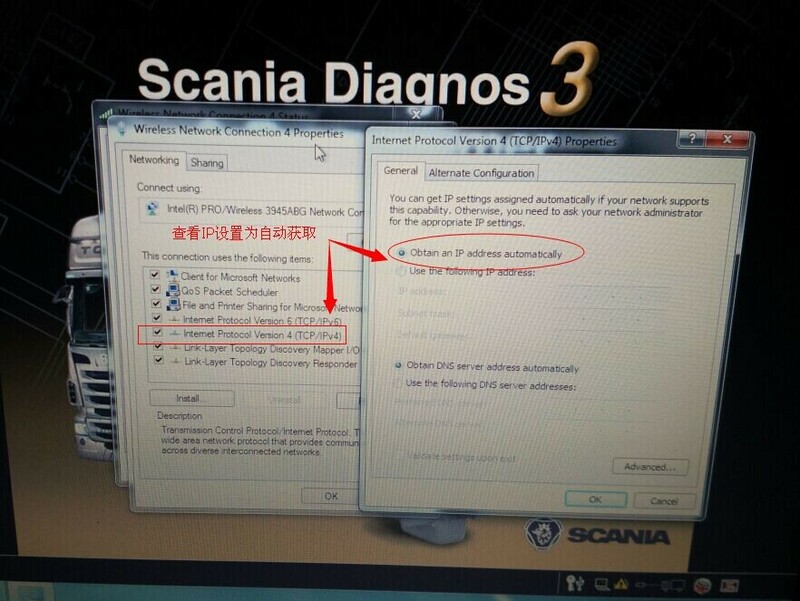 Please connect the Scania VCI-3 VCI3 Scanner with the cars before setting wifi. 1. Open the laptop wifi connection. 5. (TCP/IPv4) – obtain an IP address automatically. 6. 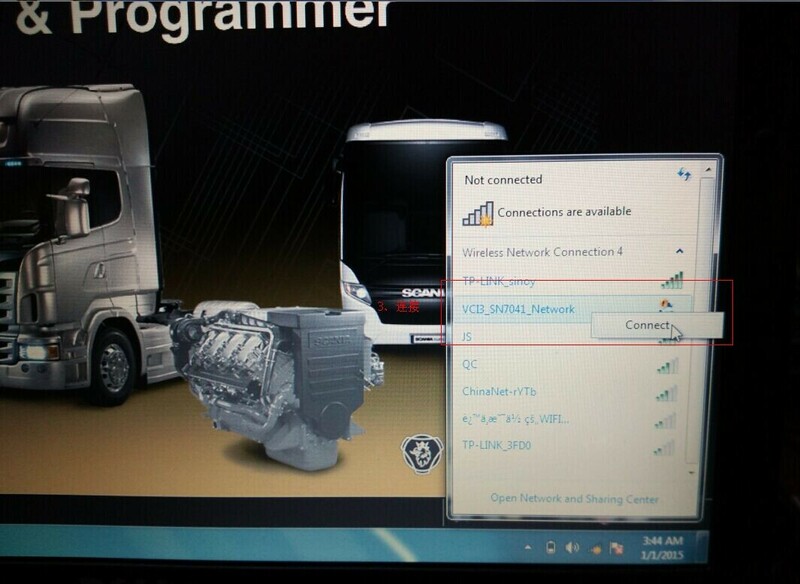 Open the scania vci3 software connection option and connect to wireless VCI. 7. 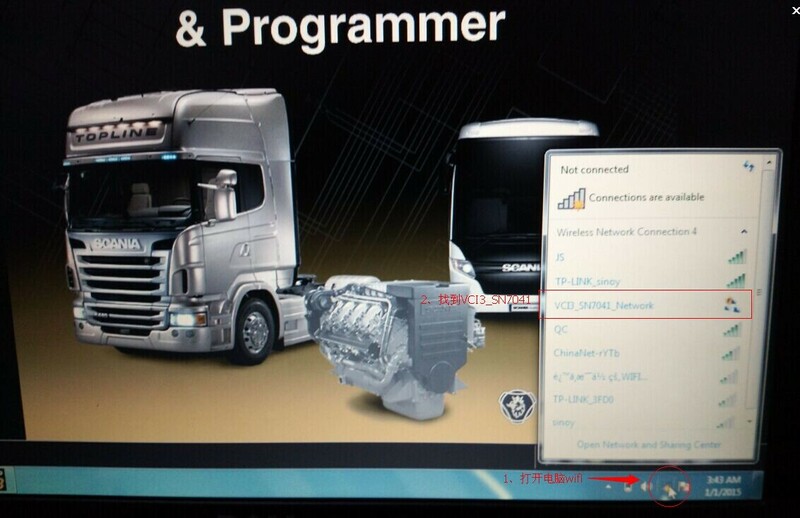 The scania vci3 wifi connection is ok. This entry was posted in Outil de Diagnostic Robuste, Soutien technique and tagged french obd tool, scania scanner, truck diagnostic tool on August 26, 2015 by sales. Q1: Does this MB SD Connect Compact 4 software HDD has requirement for computer or computer system? Can i use win7 system to install this software? Do you have SATA HDD? A1: Please install the software on XP system. XP system is best for this software. More steady for software running. Do not advice you use win7 system. 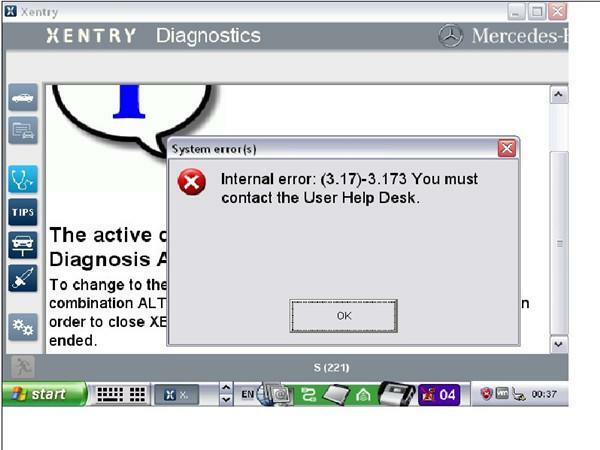 Q2: After I find Fingerprint ID, I click “Diagnostic”, it do not show me the Fingerprint ID, but the following error prompt: “Internal error (3.17)- 3.89 You must contact the user help Desk “, why? A2: Your computer is not compatible with this star software, change another computer to install the software. This is the lowest configuration for computer: CPU 2.0GHZ or above, 2GB memory or more, Windows XP professional. If your computer is D630, then needs integrated video card and 1GB memory or above. Q3: Can i change the MB SD Connect Compact 4 DAS language? How to change? 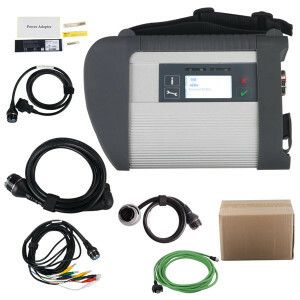 A3: No matter what car you want to diagnose with this MB SD Connect Compact 4, when you open the software, enter Xentry first. After you enter Xentry, setup the language you want. When you use Xentry to work on your car, you need to enter DAS to diagnose and program, then software will switch from Xentry to DAS automatically. What language you setup for the Xentry, you will get the same language in DAS. So Xentry has 21 kind languages, DAS has 21 kind languages too. Q4: EPC needs activation or not? 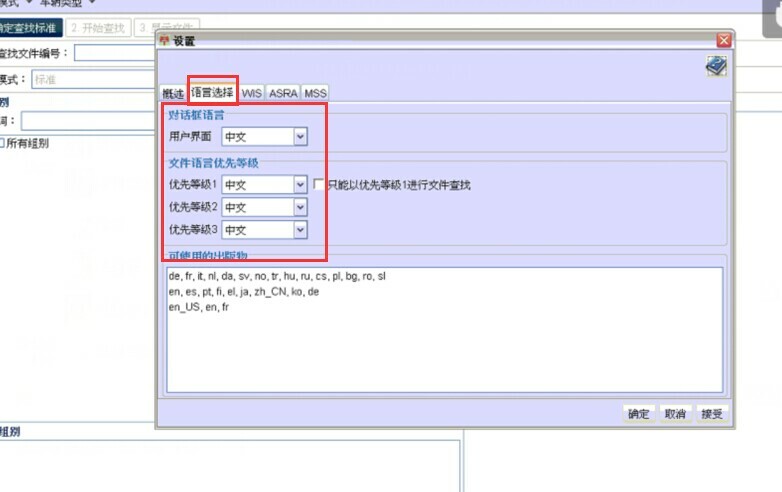 Where to enter EPC? A4: EPC needs activation. 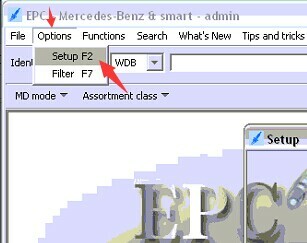 Make sure you enter EPC from “EPC NET EXPLORER”, this is the right way. Then you will find LAN ID, then go on to activate the software. Q5: After I insert the D630 software HDD to my computer, it ask the “administrator code” for me, can you tell me the code? A5: The administrator code is: User$star2004. 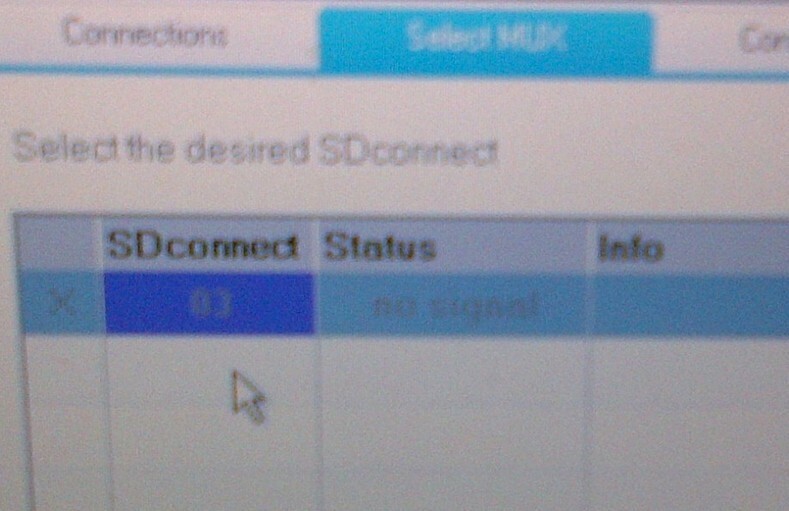 Q6: After I click “Select MUX”, it gives me the error code like this photo, Status “No Signal”. How to solve this problem? A6: You need to reset the IP address. Please connect to “Local area connection”, and set IP address: 172.29.127.114, Subnet mask: 255.255.0.0. for the detailed steps, please watch the video tutorial by clicking column “Video”. Q7: I use USB cable to connect the external hdd with my computer, what to do next? Which software i need to install first? A7: Install “setup.exe” file first. Q8: Does software hdd includes WAS and DAS open program? A8: Yes. It includes this two. Q9: I want to use MB SD Compact C4 to connect with ECU to read Chassis No. for my smart 1998. Is it OK? 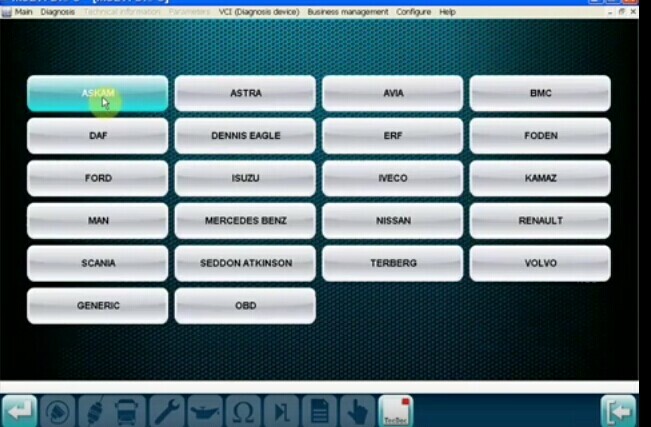 A9: For SMART car, it needs login password. You can buy our DAS SMART Calculator to calculate login password. Q10: I want to diagnose ML 270 2005 and A class W169 2007, which tool do you recommend for me? A10: You can use MB SD C4. This entry was posted in Appareil De Diagnostic Professionnel, MB SD C4, Technique FAQ and tagged benz diagnostic tool, Benz key programmer, french obd tool, mb star, truck diagnostic tool on August 18, 2015 by sales. 5. New MB SD Connect C4 come with one year warranty. This entry was posted in Appareil De Diagnostic Professionnel, MB SD C4, Mise à jour Nouvelles and tagged benz diagnostic tool, Benz key programmer, french obd tool, mb star, new arrival, truck diagnostic tool on July 27, 2015 by sales.